The eating habits of the Mauritians inevitably reflect the ethnic diversity of its people: Creole rougailles, Indian curries, Muslim bryanis, Chinese sweet-and-sour pork, French traditional dishes, English bacon and eggs, ...... you name it, you'll get it there. Basic ingredients of the Creole cuisine are the tomatoes (known as pommes d'amour), onions, ginger, garlic and chillies. Nothing beats a rougaille saucisses or a cari poule. Palm heart and camarons (giant prawns), daubes, venison and wild boar are favourite items of French cuisine. Fresh fish and seafood set the keynote for Chinese cooking. 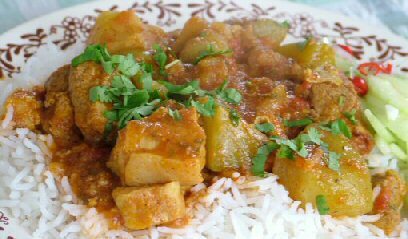 The traditional blends of home crushed spices are the sauce base for mouth glowing Indian curries. The delicate blend of spiciness and subtle mix of ingredients constitute the setting for the event-related Muslim cuisine. Local vegetables and fruits abound all year round in a colourful selection of mouth watering delights. Registered subscribers will have full access to our recipes and will be able to print individual recipes for their own use. 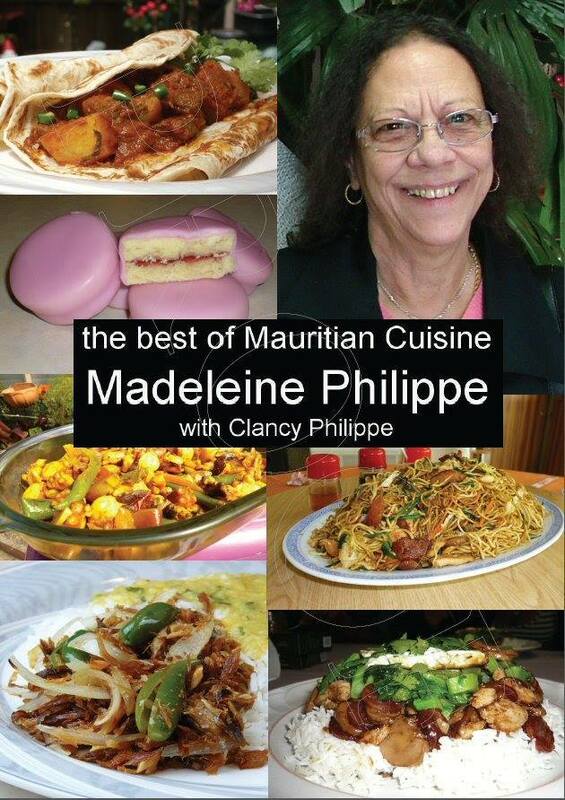 The recipes at http://ile-maurice.tripod.com are "read only"
Buy the newly released book "Best of Mauritian Cuisine"
Please be advised that permission is granted to viewers of these recipe pages to download recipes only for their own personal use. Permission is not given for webmasters of other web sites to copy any of the recipes for redisplay on their web sites. Webmasters are however free to provide links to this recipe page, if they so desire. Permission may be given for the use of sample recipes for promotional purposes. Contact Madeleine Philippe with your request. Designed and compiled by Madeleine and Clancy Philippe. Information contained in this homepage is given as supplied and in good faith. No responsibility is taken for any losses or misgivings which may arise from the use of any supplied information. We welcome emails bringing to our attention any inaccuracies or suggestions for improvement.